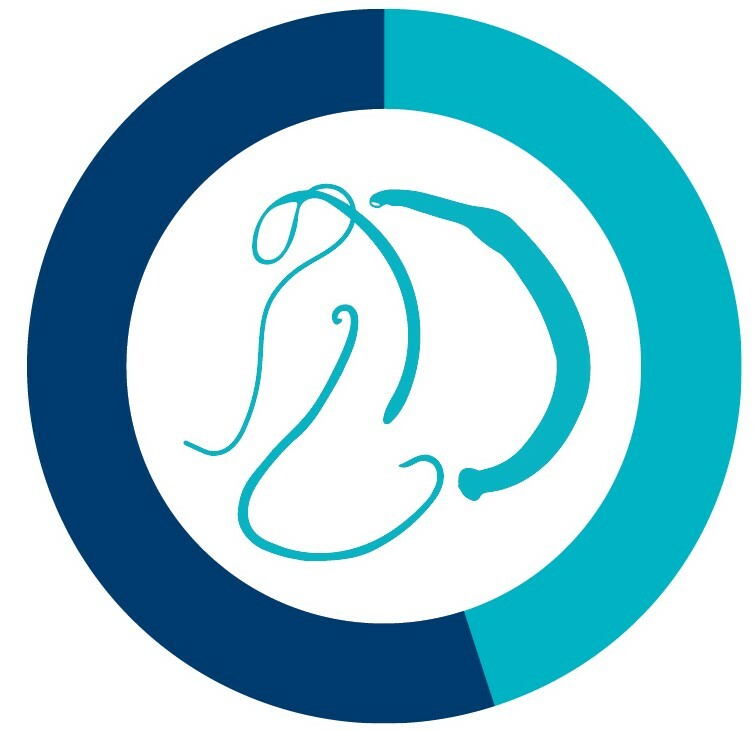 Intestinal worm infections, or soil-transmitted helminthiasis, are estimated to infect over 1 billion people all over the world. Depending on the species, the worms can grow between 1cm to 35cm in length and live in the intestines, feeding on the host’s tissues. 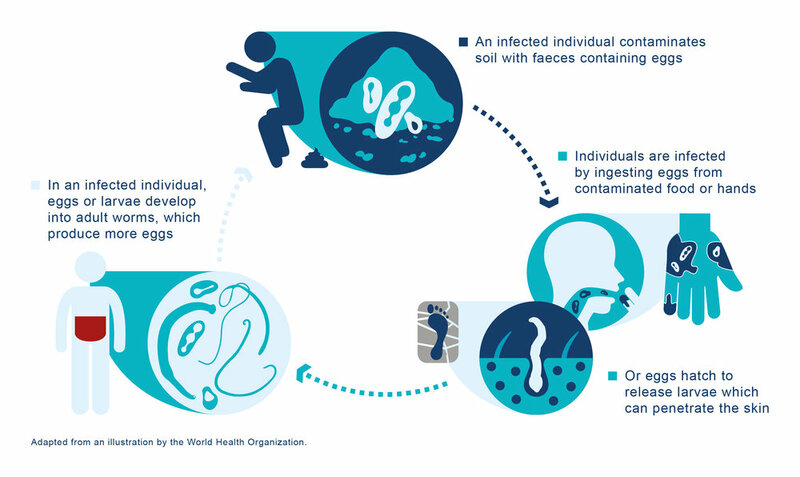 The infection is transmitted by eggs present in human faeces, which contaminate the soil in areas where sanitation is poor. Because many children affected by the disease suffer from stunted physical and cognitive development, this can affect their ability to work productively in adult life, trapping them in a cycle of poverty. 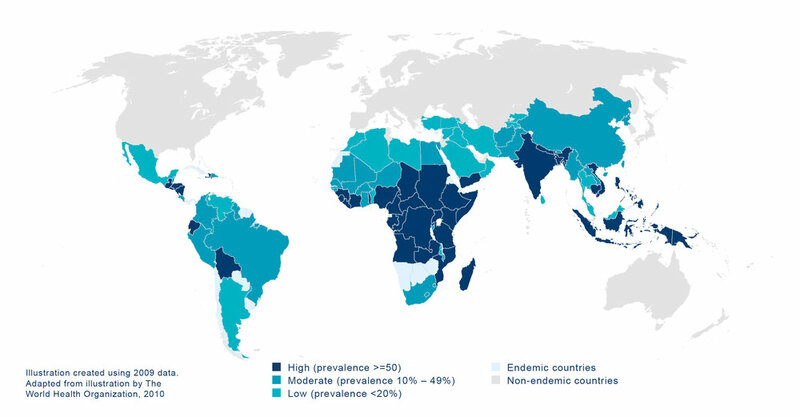 The maps below show a link between global poverty distribution and areas that are at high risk of infection. The infections are easily treated with the drugs Albendazole or Mebendazole. But in 2016, only 48% of school-age children needing treatment globally actually received it. 719 million still need treatment.